CAA Rewards Program & NEW eStore! Earn CAA Reward Dollars on Every Purchase! If you live in Canada, you undoubtedly have heard of CAA - Canadian Automobile Association. My family has depended on them since my grandfather's generation, and I would just not feel safe in the winter without a CAA membership. Every single one of my family members enjoy a CAA membership, and mine is going on 20+ years. Are YOU a CAA Member? Even one fateful summer my husband and I were rescued by CAA, when we were in a car accident and our car was rendered useless. To say that we felt helpless was an understatement, as we were stranded hours outside of the city in isolated cottage country. CAA towed our car back to Toronto and dropped our car off to a local mechanic of our choice. And this was all part of our CAA membership, not extra. Click here to read more about CAA Member Benefits and Savings and Discounts. CAA Offers Auto, Insurance, Travel & CAA Rewards! But CAA has really branched out since my grandfather's generation, and from the days that they towed my husband and I to safety. Now their tag-line is "Life-side Assistance" as they cover auto, insurance and travel. But recently, CAA has branched out even further with the CAA Rewards program and the new CAA eStore! 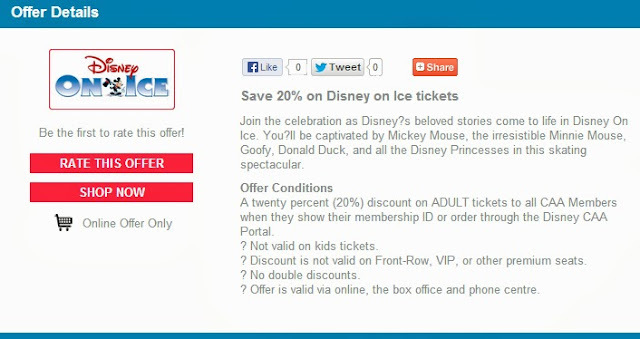 Find Offers Like Disney on Ice & More on the CAA eStore! With CAA Rewards, CAA Members enjoy exclusive discounts, savings and special offers at more than 164,000 retail locations and services worldwide. Some examples of savings include fabulous apparel, attraction tickets, restaurants, hotel rooms, movers and more! Click for the list of CAA Rewards retailers and services where you can save with CAA Membership! 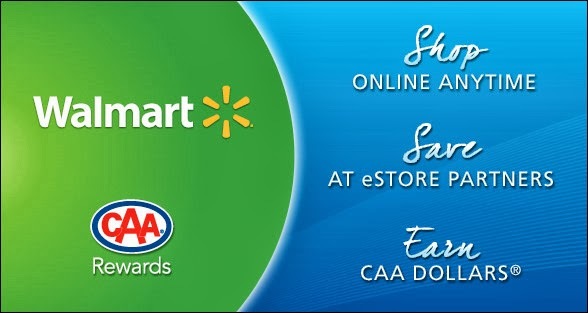 Walmart Is Just One of Many CAA eStore Partners! The CAA eStore is brand new and allows you to earn up to 40% in CAA Dollars when you shop online at 40+ CAA partners like Walmart, Sephora, iTunes, Tiger Direct and Macleans! Every CAA Dollar earned equals $1.00 CDN, and can be redeemed towards your CAA membership renewal, next vacation, Cineplex movie tickets, travel merchandise and more! Visit the CAA eStore to check out the CAA Rewards partners! CAA Rewards, including the NEW CAA eStore, is a great way that you can put your CAA Membership to good use! Do you have a CAA membership, or have you ever had one? Do you have any loyalty cards that allow you to collect rewards? I do have a CAA membership. We originally got one as an 'insurance' in case anything happened to the car since we have 2 young kids, but we now realize that the CAA membership has given us so many discounts that it really has paid for itself. I don t have CAA ( havent got a car) but everyone I know who has CAA loves them! I don't have CAA but my mother-in-law does. We just had an experience that made me rethink it. Both she and I booked a hotel room in Toronto. But she paid $30 less for the room because she was a CAA member. With those kind of savings it would pay for itself -- and we would have the security that comes from having a CAA membership!!!! Spaceships, the CAA has a lot of "hidden" benefits like the one you mention. We were quoted a much lower rate to rent a car when we mentioned we were CAA members. I worked with CAA Rewards on another program! I can't believe how many discounts they offer! I am not a CAA member but I did visit their store before my trip to France and I was SO impressed with all the travel-related items they had. And their staff was so friendly and knowledgeable! Gotta love CAA! Before working with them on a few projects, I had no idea how amazing the CAA Rewards program (and all their other programs) were! Definitely something to get excited about! Thanks for all this info. I have never had CAA but I think I should really look into it. 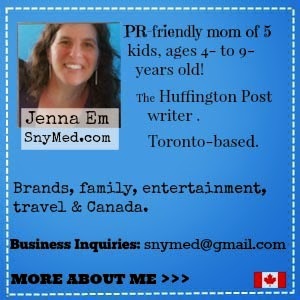 I have always had AAA in the states - and have completely forgotten to sign up for CAA here in Canada. Thanks for the reminder! LOVE them! We currently don't have CAA but I believe we should be looking into it about now! Thanks for the info! Thanks for the great info. I had a membership years ago and should get another. My Hubby's a Gymnast at 40-Years Old! See VIDEO! My 9-Months of Health & Fitness Update!